Duane T. Lemons has been a fire investigator for over twenty years. 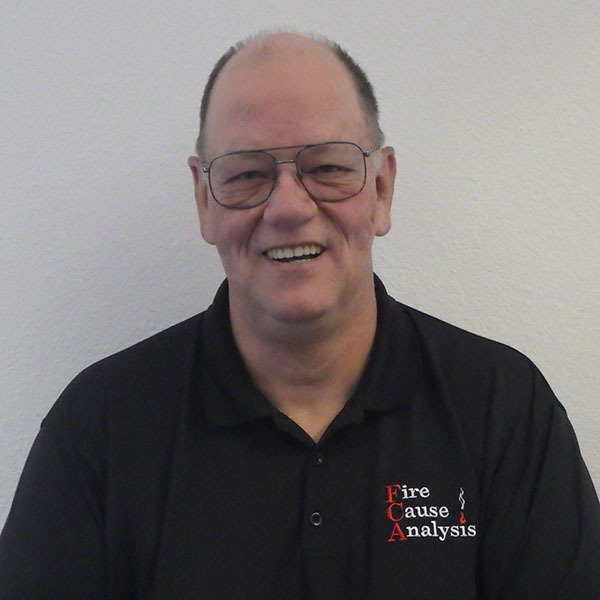 He is a certified fire investigator and evidence collection technician through the International Association of Arson Investigators and is also Pro-Board Certified as a fire investigator. In addition, Mr. Lemons is a certified fire and explosion Investigator through the National Association of Fire Investigators and is a certified fire plans examiner, building plans examiner, and fire inspector II through the International Code Council. He has served the community of Carson City, Nevada as a fire inspector II and investigator. Mr. Lemons’ certifications include Fire Investigator I, II & III, Fire Inspector I, II, & III, and Plans Examiner from the Nevada State Fire Marshal’s office. He also holds certificates of registration from the Nevada State Fire Marshal’s office for fire sprinklers, fire suppression systems and was an installer and field serviceman for these systems. Prior to the fire service, Mr. Lemons earned a Certification of Technology in Heating, Ventilating, and Air Conditioning from Odessa College. He worked in the HVAC field for several years working on units from small window units to large commercial water chillers and boilers. Mr. Lemons was also a Certified Welder, graduating from Odessa Trade School. He operated a general oil field welding business in the early 1980’s until moving into the HVAC trade. With the work experience Mr. Lemons has acquired in his career, he has a solid background in fire investigation and exceeds the fundamental requirements of NFPA 921 and 1033.